Unfortunately we only have a limited amount of information on the fiestas of Asturias that are considered to be of significant tourist interest and in Aviles there are but two. 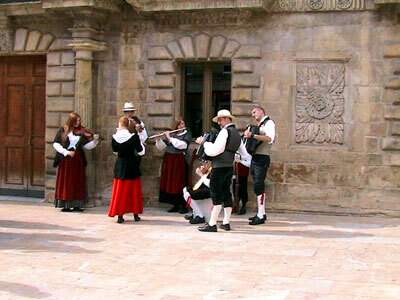 The main fiesta (festival) in Aviles is the "Fiesta del Bollu” that takes place anually on Easter Monday. It includes floats and processions along with music and dancing. A further festival in Aviles is that of "Martes de Antroxu” ( which means Carnaval Tuesday). For details of all the main "tourist interest” festivals in the region of Asturias, see the "Culture” link in the left hand menu.